The Ogaden National Liberation Front (ONLF) is accusing the Ethiopian government of committing genocide against the people of the Ogaden region. The group said it would not relent in its effort to expose what it described as the nefarious activities of the Meles Zenawi government in the region. This comes after Ethiopia recently barred international journalists from the area, saying that the area is not safe. But the liberation group sharply disagreed and promised to tell the world about the need for an independent investigation into what the group said are the ongoing atrocities allegedly being committed by the Addis Ababa government. Abdirahman Sheikh Mahdi is a leading member of the liberation group. He was here in our VOA Washington studio after meeting US congressmen. Sheikh Mahdi tells reporter Peter Clottey that there should be a holistic approach towards resolving the insecurity situation in the Ogaden region. "As you know, there is a big problem in the Horn of Africa and one of the problem areas is what is happening in the Ogaden region. So, our mission is to bring international attention to the calamities that are happening in Ogaden. There is a big fight between the Ethiopian government and the Ogaden Liberation Front. The Ethiopian government is abusing the people in Ogaden and there is an economic blockade, there is a massacre and there is actually an active genocide going on there. So, we came to the United States to highlight that issue and to meet relevant actors in international politics," Sheikh Mahdi noted. He said international organizations have expressed their concerns about the difficult situation in the Ogaden region despite claims by Addis Ababa to the contrary. "Both the United Nations and the International Human rights organization and the NGO's (Non-Governmental Organizations) in the area have already ascertained that there has been serious human rights violations in Ogaden. And the response of the Ethiopian government was to shut the doors and ban all NGO's journalists from going there. So, what we are saying is if Ethiopia is telling the truth, why doesn't it allow independent international journalists to go there and verify what we are saying? That is the reason why we believe the Ethiopian government is lying about what is going on in Ogaden," he said. Sheikh Mahdi said there is a long history involving the surrounding countries who have fought over the Ogaden area for a long time. 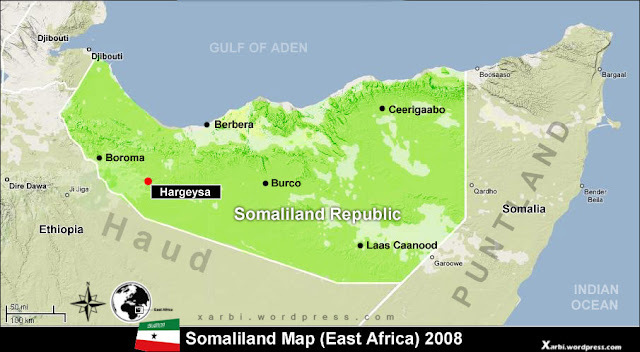 "First of all the people in Ogaden are Somalis and the place is almost as large as Somalia. The population there is about six million and the population about Somalia is about eight million and the area is almost the size of Somalia. So, it is a whole territory it is not just a small region and because of history and because of the circumstances that have happened in the Horn of Africa during the 19 century Ogaden became separated from the bigger Somali nation," Sheikh Mahdi pointed out. He called for international help towards finding a lasting solution to the ongoing problems in Ogaden. "So, the issue of Ogaden if it is to resolved, we believe it cannot be divorced from the greater Horn of Africa problem because Somalia and Ethiopia have been at loggerheads because of Ogaden. So, the whole Horn of Africa needs a comprehensive solution. You cannot solve the problem there by piece meal. So, we believe that the international community should give as much attention to the problem in the Ogaden the same given to Somalia or may to Darfur or to other parts of the region," he said. Sheikh Mahdi said there was need to give residents of the Ogaden region the right to determine what their future should be. "The Ogaden National Liberation Front does not dictate what the people of Ogaden want. The people of Ogaden want self-determination and they have the right to choose whatever they want. They can choose to be state and they can choose to be part of any other nation in the area. But what we are saying is that let the people of Ogaden be given the right to decide what they want. Nobody can force them to choose what they don't want and what they don't want is very clear. The way Ethiopia is treating them and the way the Ethiopian government is dealing with them that is what they don't want," Sheikh Mahdi noted. He called on Ethiopia to allow for international mediation to resolve the problems in the Ogaden. "First of all we are telling the Addis Ababa government that bloodshed, African bloodshed has no value. So, far you have been believing in the rule of the gun, but what we propose to you is to stop that and accept internationally mediated negotiated peace process that have no conditions and which is run by credible international mediators," he said.